Grand Paris Sud (346.826 inhabitants), an inter-communal structure south of Paris, decided to pull up its sleeves and work towards progress. In the spirit of democracy, they chose to seek the opinions of those who know best: the citizens. Grand Paris Sud collaborates with CitizenLab to improve citizen participation in the region on three important levels: climate, culture and cycling. First, the region launched a survey regarding the creation of a climate plan. As an agglomeration, they wanted to bundle their forces in tackling the challenges that come with sustainability and scaling back the effects of global warming. Parallel to that plan, the community intended to stimulate cycling as an efficient, economical and environmentally friendly alternative to the use of cars or public transport. To do so, they evaluated the performance of the bicycle network, bike parking possibilities, services for cyclists, etcetera. Finally, they also decided to gather input on how to stimulate culture and creativity in the agglomeration. A 360-degree mission that aims to make Grand Paris Sud a Grand Paradise for its citizens. The Territorial Air Energy Climate Plan is a strategic and operational plan aiming to define the main lines of action on important climate, air and energy issues. For the next six years, the plan strives to achieve a reduction of greenhouse gas emissions and energy consumption, an improvement in air quality and the development of renewable energies. With the support of a citizen participation platform, the agglomeration consults its citizens and professionals to determine the main priorities in this regard. The Cultural Plan is being developed to stimulate cultural and creative activity in the agglomeration of Grand Paris Sud. How can buildings, parks, sports centres or even bus stops become playgrounds for culture and art? Overall, clearing space for more cultural centres, concert halls, exhibition spaces or cultural events makes Grand Paris Sud a more pleasant place to live and work. Cycling is great, but the “Plan Vélo” is greater. 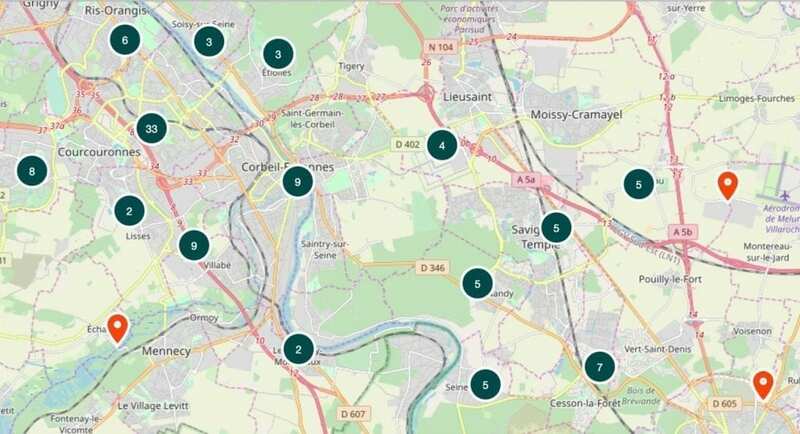 The digitized cycling plan allowed citizens to share their ideas on cycling and mobility via the CitizenLab platform. Via basic geolocalisation, they could ‘pin’ their ideas directly on a map of the region. That way, they could add remarks about a certain mobility issue they wanted to address. This ingenious piece of tech attracted citizens like wasps to the apple pie,and got the conversation going about safety and mobility in the agglomeration. So what’s the result of this large-scale citizen participation experiment? What did citizen input teach us about the future of Grand Paris Sud? So far, over 250 people filled in the climate survey. Besides, lots of citizens shared their ideas to increase and improve the cultural vibe in Grand Paris Sud. Daily reading and singing in schools? Book dispensers in stations or at bus stops? An arboretum with remarkable trees? It definitely gives the administration of Grand Paris Sud food for thought when it comes to culture. 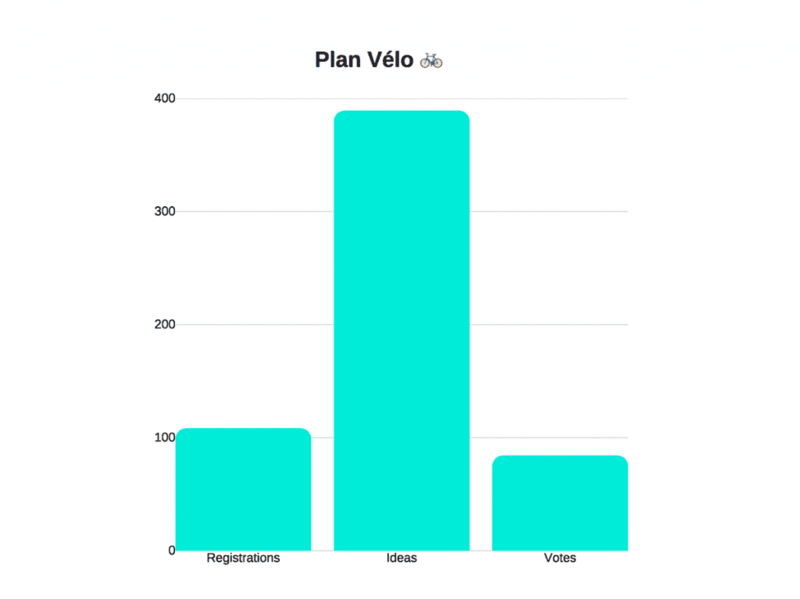 But as it turns out, the Plan Vélo turned out to be the biggest success so far. This can definitely be attributed to built-in questionnaire and the helpful geolocation tool. The people of Grand Paris Sud shared nearly 400 ideas, pinned exactly to their relevant location. More inflation stations to fill bike tyres, or more secure and accessible storage for bikes? They’re just a few of the ideas sending a clear message to the responsible departments.